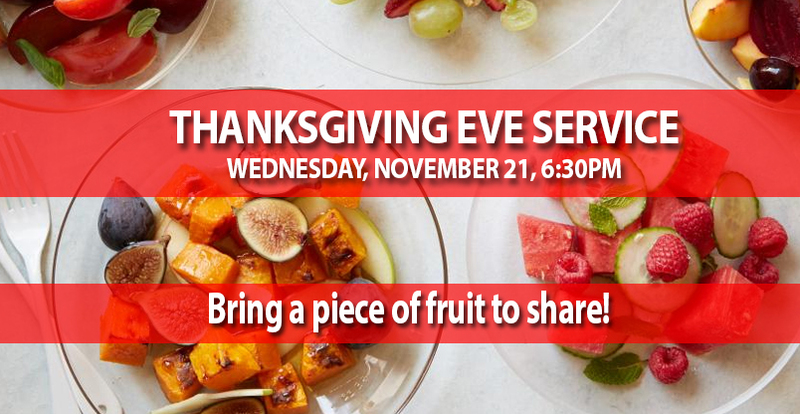 We’ll be creating a thankfulness craft, worshipping, celebrating the Lord’s Supper and sharing a fruit salad. Bring a piece of fruit (precut, please) or berries to share in the salad. The nursery will be available for families to use but not staffed. An audio feed of the service will be playing in the nursery. This is one of our favorite services of the year. In this season of thanks, come and give thanks to the One who created all things and holds all things together.